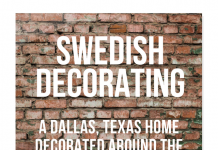 Carol Glasser; one of one of Houston’s finest interior designers immediately sought the insight of renown interior designer Katrin Cargill and author of Swedish Style: Creating the Look to create the overall look of a Huston Townhouse. Katrin Cargill who is one of the leading authors on Swedish design, publishing more than 14 books on interior design, transformed this Huston Townhouse along side Glasser, which landed on the the 2007 issue of Home Beautiful . 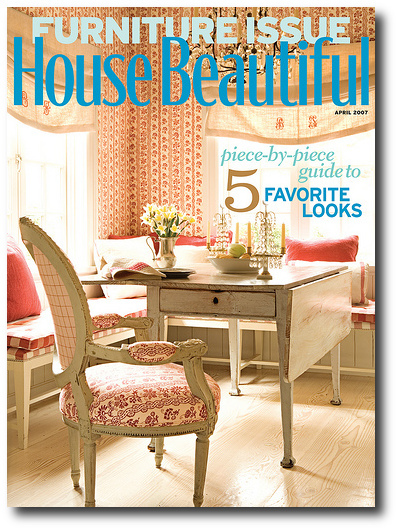 Katrin Cargill shares her secrets along with Carol Glasser to Home Beautiful’s Christopher Petkanas. 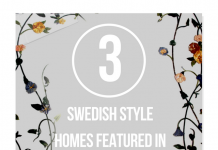 Cargill tells us that room-to-room views are a hallmark of Swedish style, and that they created that look in the Huston home by taking out a number of the doors to create the open look of classic Swedish homes. Enfilade the formal architectural term is actually a series of rooms aligned up with one other commonly seen in museums and art galleries. 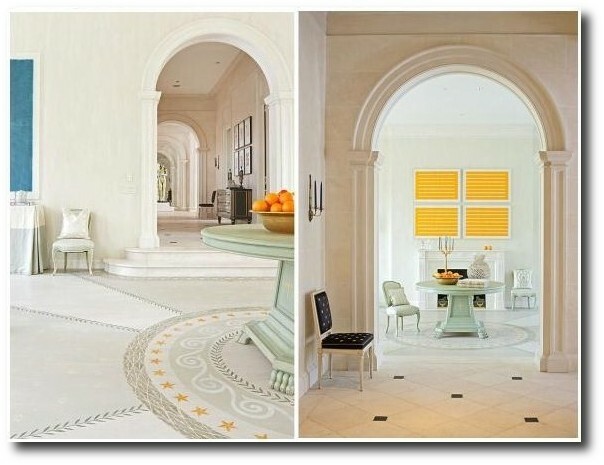 Ideally with this arrangement, a person can get an eye view into 2 or three rooms, as the entry doors are aligned perfectly with the the connecting rooms. This European architectural feature was a common design in the Baroque period. 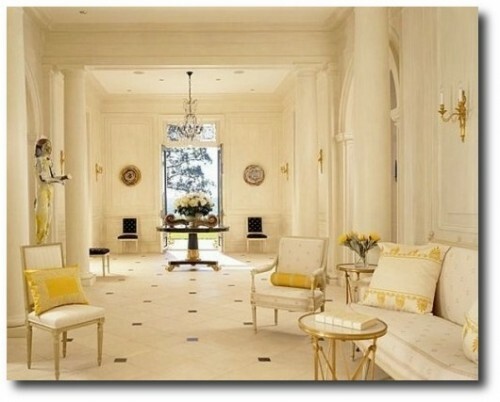 Joni from Cote De Texas tells us the inside story on this home, being that it belonged to a personal friend of hers. Joni also holds the story of the same house which appeared in Country Living magazine a few years prior. 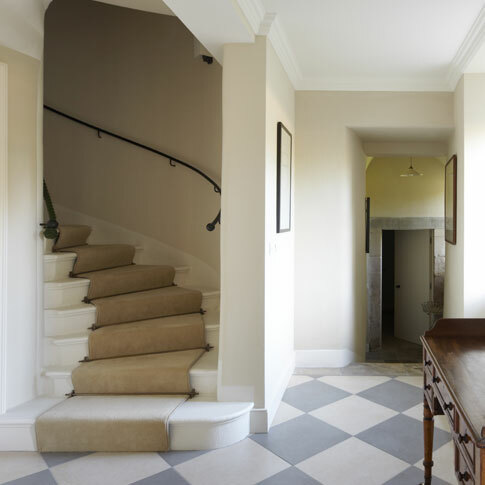 She tells us that the owners sold everything from their former house and only kept everything they absolutely loved, which they then designed around. 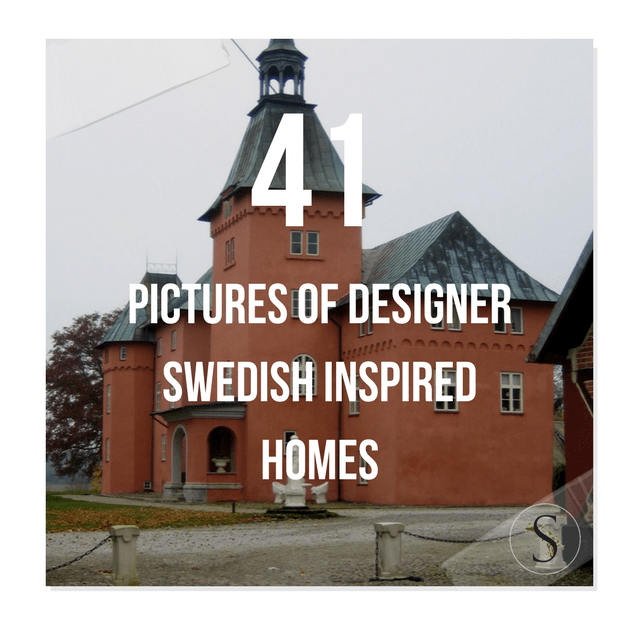 They wanted to design the home to be as authentic Swedish as possible. 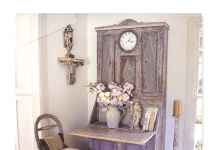 It was pleasing to hear the owners spent years acquiring a house full of furniture – piece by piece. 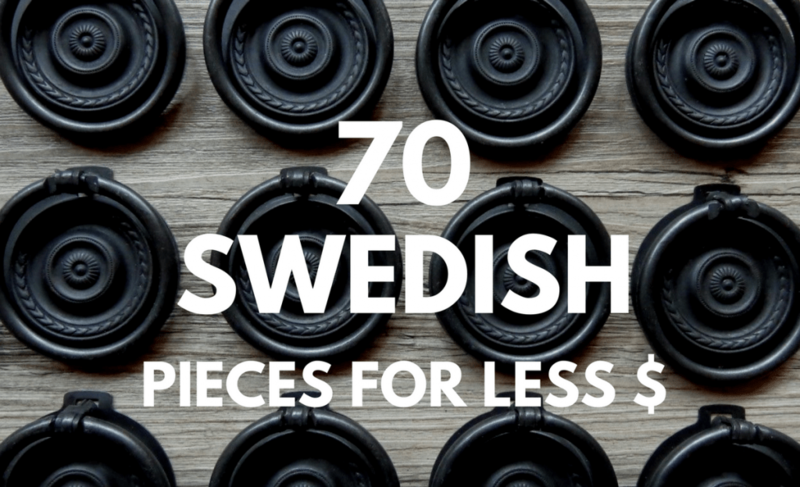 Buying authentic swedish furniture or reproductions could cost an arm and a leg if you didn’t collect over time. 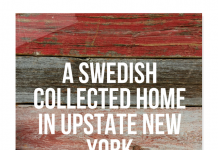 In addition, swedish furniture is very hard find in the United States. As you see in this Huston home, not everything is antique. 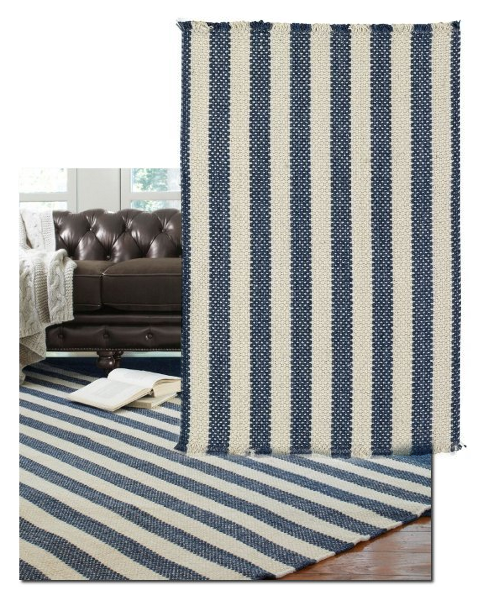 The standard swedish cotton check gives an antique look to the modern sectional. 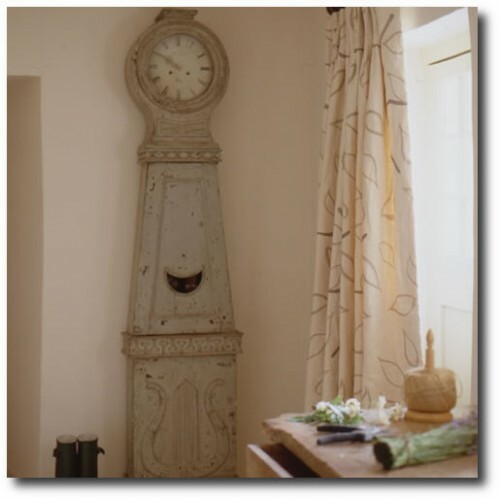 Combining authentic textiles with antiques can give you the genuine look while making it affordable. If a person has a draw to a particular style, over time your most priced pieces will fall into a category of design. 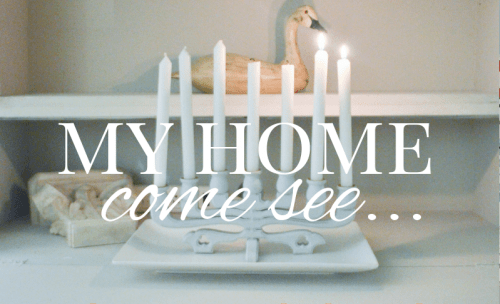 She tells us that each purchase was deliberate and thoughtful, as she didn’t mind waiting years for just the “right” table or the “perfect” lamp to turn up as Joni tells it. Cargill tells us the key to this design is not having any heavy upholstery, rather furniture that has graceful legs. 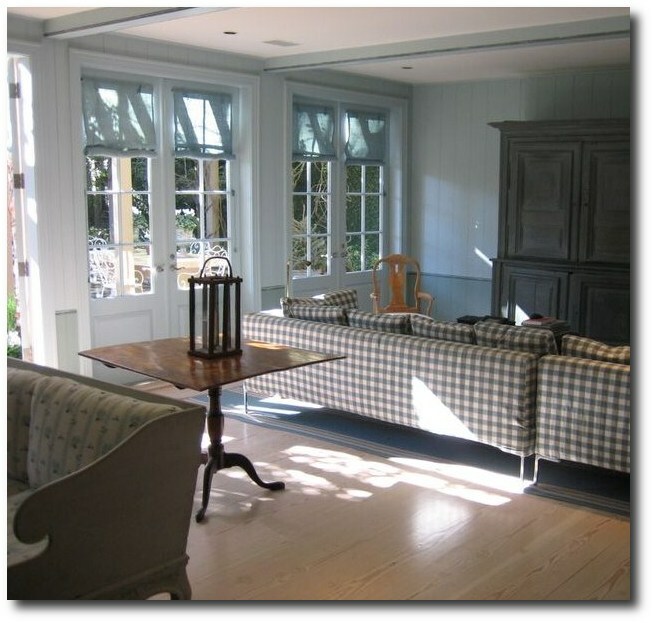 The house was finished with wide Canadian pine-plank flooring were installed and finished in a chalky limed treatment typical of classic Swedish flooring. 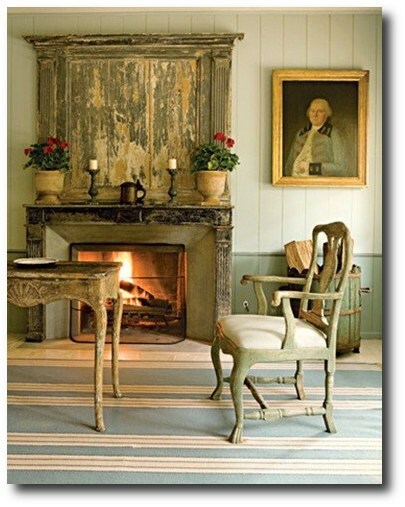 The family room featured a beautiful antique French fireplace that had a beautiful aged faux finish. 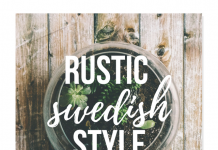 The rustic paneling gives a feeling of a Swedish home that might have the wood walls painted. The walls were graced with Italian oil paintings, backed with light blue painted walls. 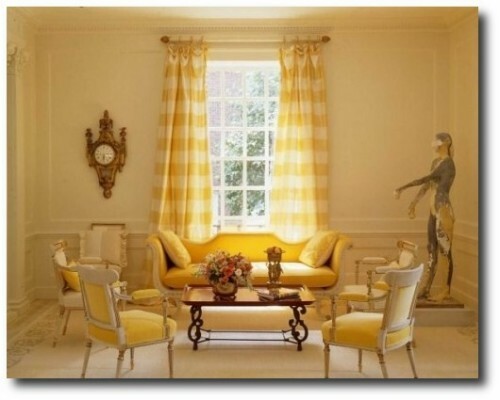 Faux painted yellow and red walls, toile wallpapers lined bedrooms. 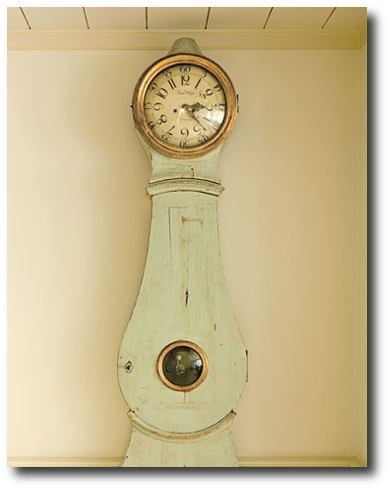 The Swedish Mora clock was the first to inspire the entire house colors which were the classic pastels such as pale blues, pinks and reds. 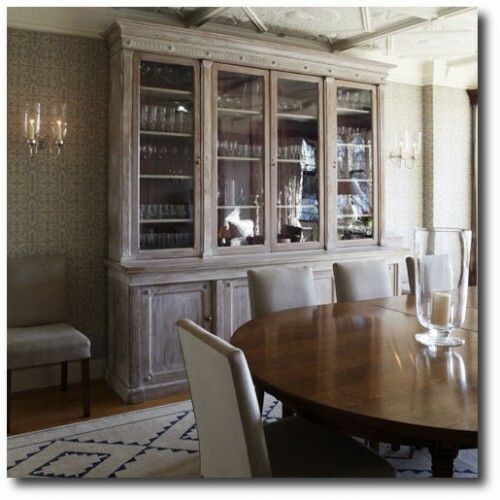 The designers had an artist hand-color and glaze 18th-century black-and-white Dutch engravings for the sunroom; eleven are originals, the balance photocopies that are all but indistinguishable from the real thing. 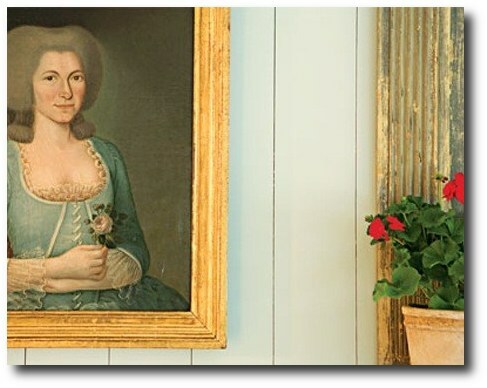 In the September -08 issue of Martha Stewart, Swedish antiques dealer Jill Dienst, and owner of Dienst & Dotter revealed marvelous Scandinavian Antiques and Furniture in her Sag Harbor home. 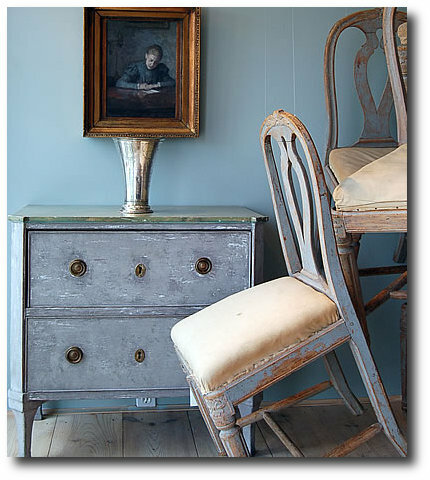 Dienst started collecting Swedish furniture after working for the New York Metropolitan Museum of Art in the European paintings department. 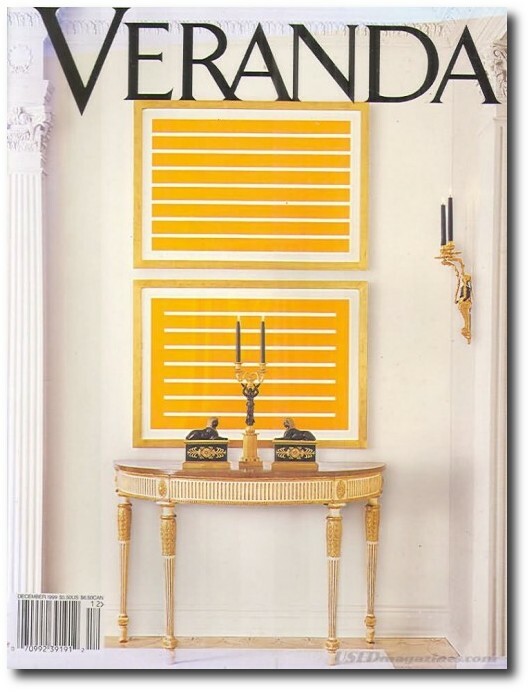 Dienst spent decades at some of the finest public and private institutions in the art, design and antiques. The Metropolitan Museum of Art gave her the trained eye to distinguish original century-old paint from modern paintings and Didier Aaron (a legendary dealer of European pieces) gave her the platform she needed in antiques which allowed her to gain a legitimate reputation that Dienst + Dotter needed to specialize in creditable objects from the 17th century to the mid-20th century. 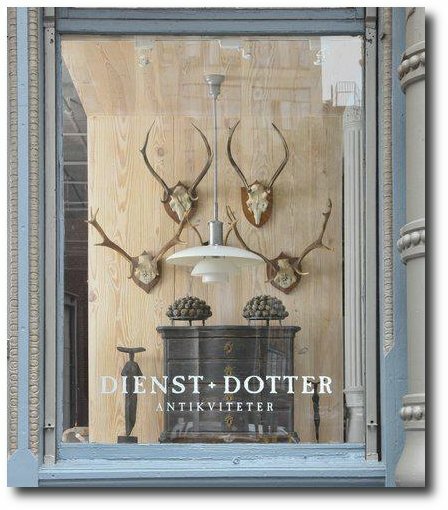 Dienst + Dotter was launched in 2005, specializing in Scandinavian antiques, paintings and furniture. 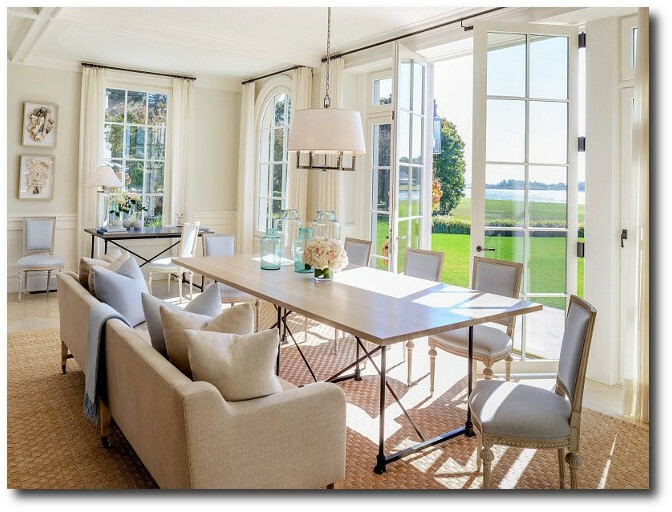 Jill and her husband Daniel tell Martha that they stumbled across their home after being drawn to the water that Sag Harbor’s small-town atmosphere provided. Only after a few hours, they found a home they loved and made an offer the same day. 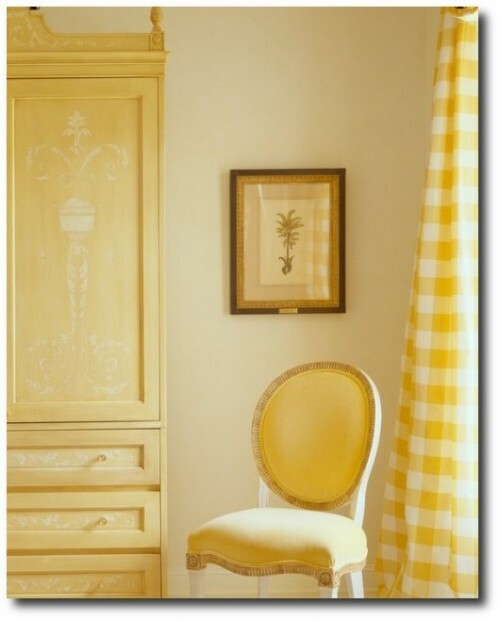 Photos From Martha Stewart and Space For Inspiration Blog, See the additional photos at Martha Stewart Magazine. 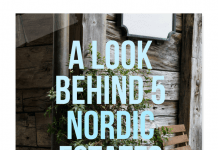 Shannon Bowers’s home is still one of the prettiest homes ever to be featured in a magazine showcasing Swedish styled decor. 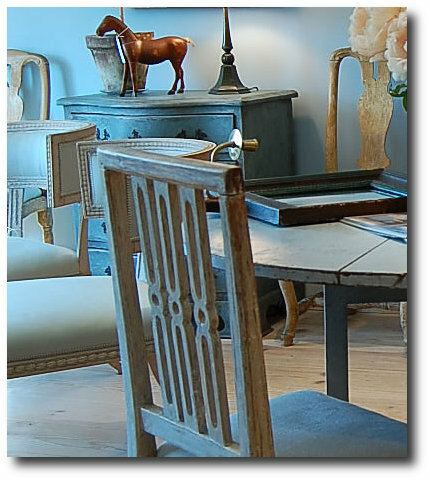 The house was filled with endless antiques all featuring stunning distressed paint finishes. Each room is enough for me to ramble on and on about the lovely choices she made for her home. Among all the rooms, the nursery was by far the prettiest of the rooms. 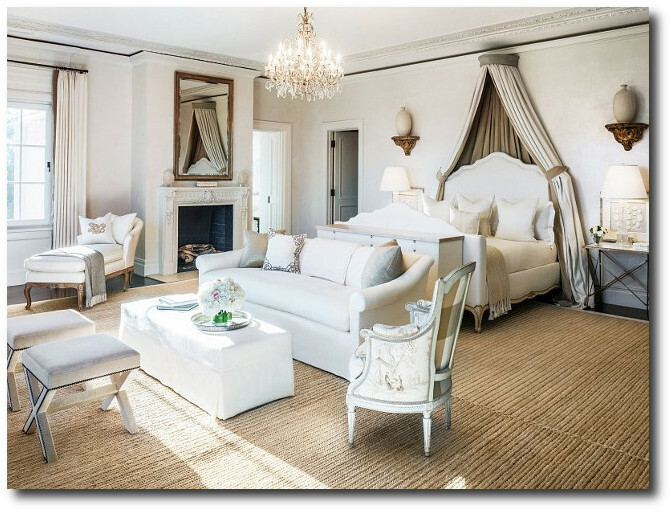 One of her design secrets is obviously picking great pieces, as they speak for themselves in a room. 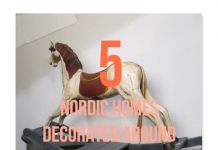 As you will see, her home isn’t cluttered with endless antiques, rather well chosen pieces in keeping with the colors of the Swedish palette. 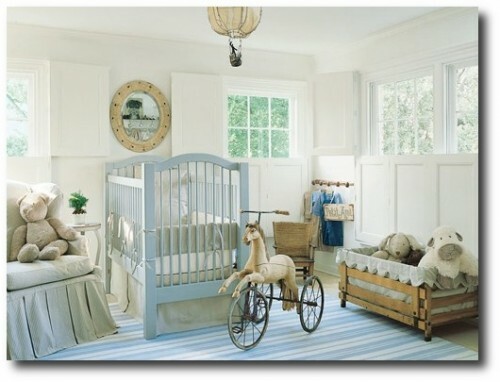 The crib is painted a light blue, which brought forth a nice contrast against the creamy white walls. 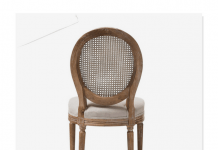 She layers in wood and natural linen in the upholstery to give it a very natural comfortable appeal. 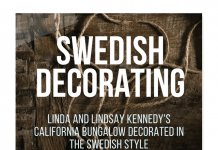 The rug gives a distinct Swedish touch. The balloon chandelier gives a whimsical element that every babies room should have. Consider the Orb Chandelier by Currey & Co Wiggins, which features a spherical pendant wrapped in natural burlap and banded with wrought iron. 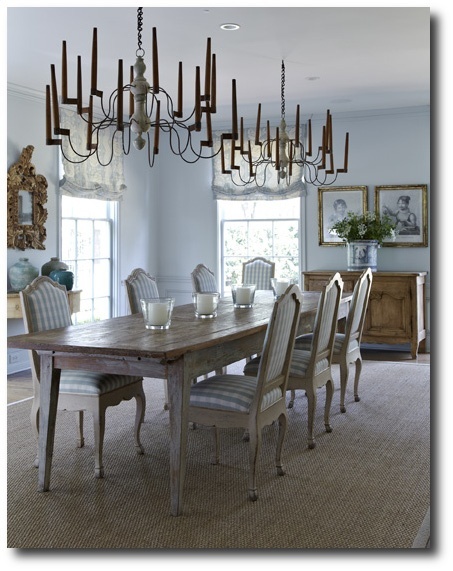 This chandelier sells close to 1K, however if you are looking for something less expensive, consider a hanging a number of blue paper lanterns. 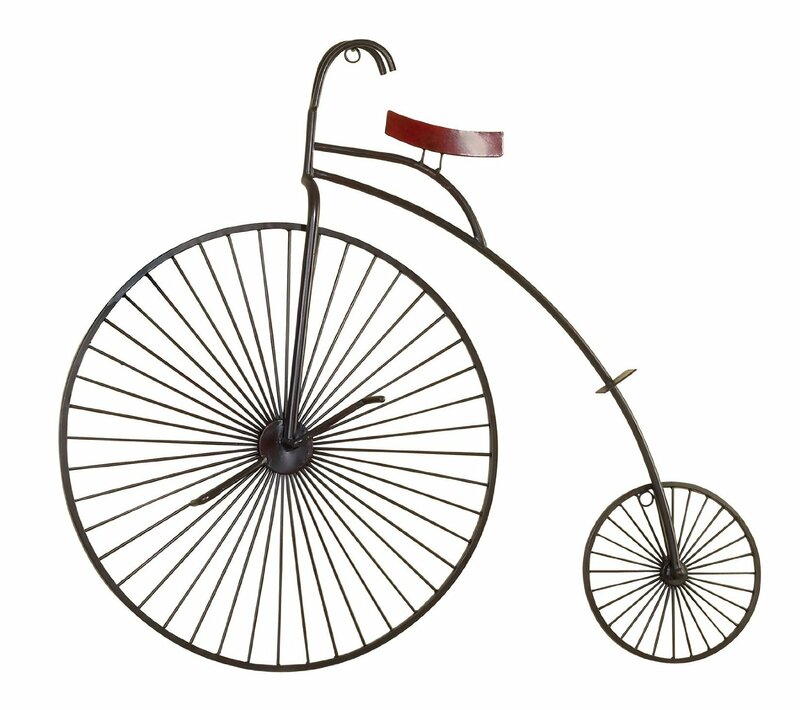 The antique tricycle really sets apart this room from other nurseries. 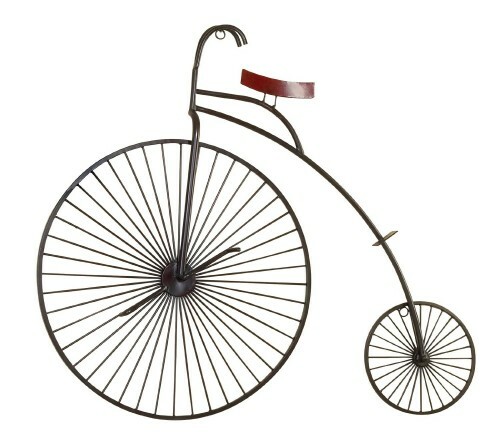 If you keep your eye on ebay,many unique tricycles show up from month to month. 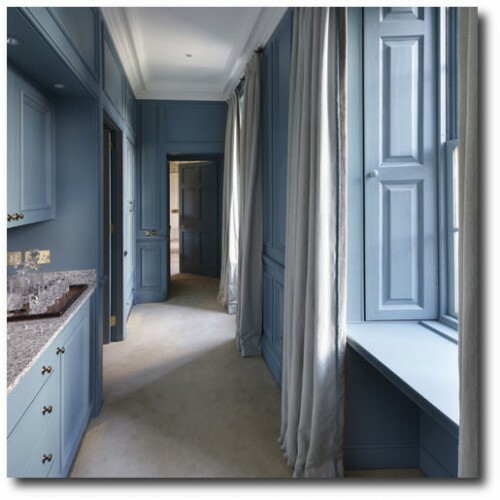 One of the more subtle elements in the room are the window shutters. 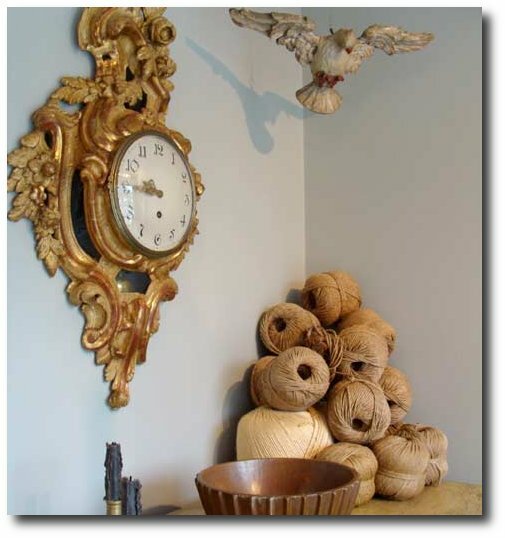 They almost blend in to the wall paint in Bower’s room, but add a very antique feel when mounted to the walls. 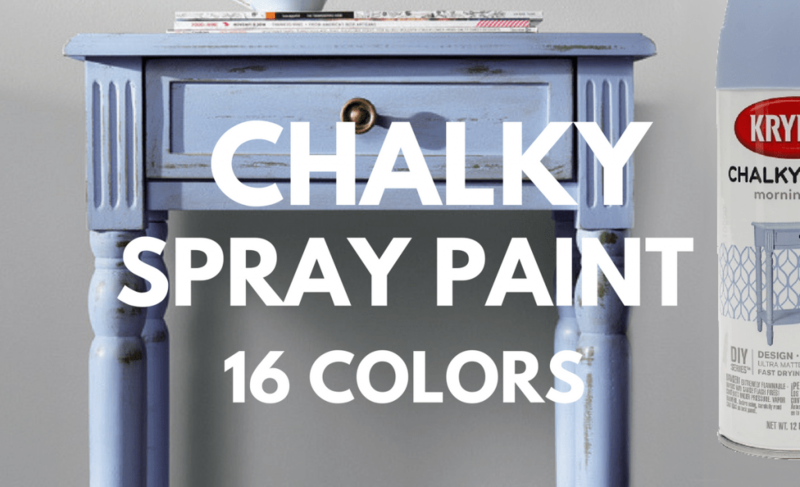 Color is everything when you are pulling together a Swedish Gustavian styled room. 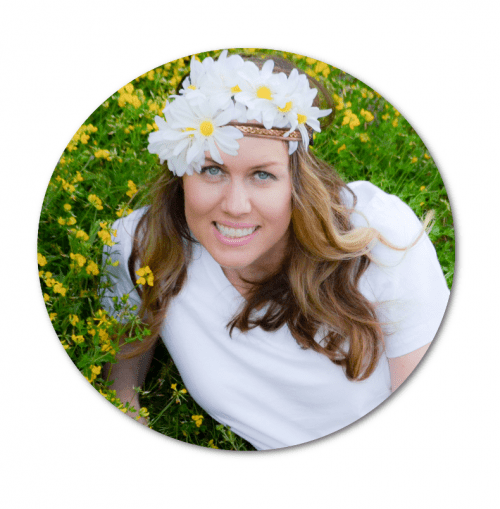 I am sure you will agree with me, there isn’t a prettier nursery than Shannon Bowers! Mary Douglas Drysdale is a designer to study if you are looking to decorate in period design. 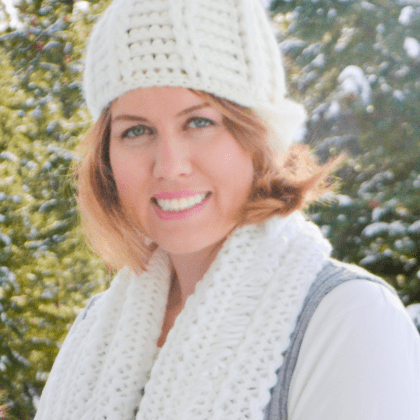 Her her offices are located in Washington, DC, and has been published both nationally and internationally. 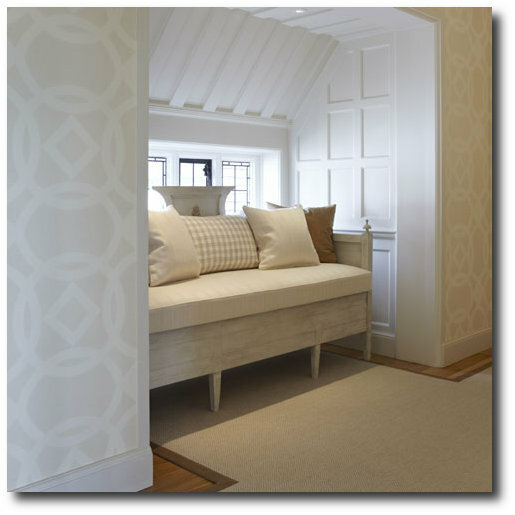 Drysdale Design Associates was founded in 1980, and focuses on both commercial and residential interior design. Known throughout the United States and abroad she is the recipient of numerous design and achievement awards. 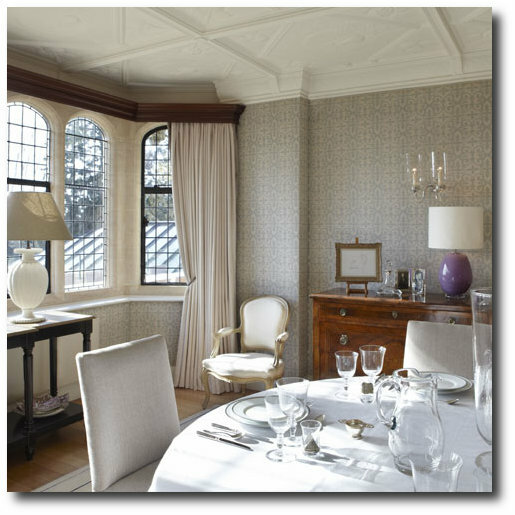 Mary Douglas Drysdale is best known for developing a traditional architectural background combined with antiques and period furniture. She is also recognized for her effective yet brilliant ability in using color in design. 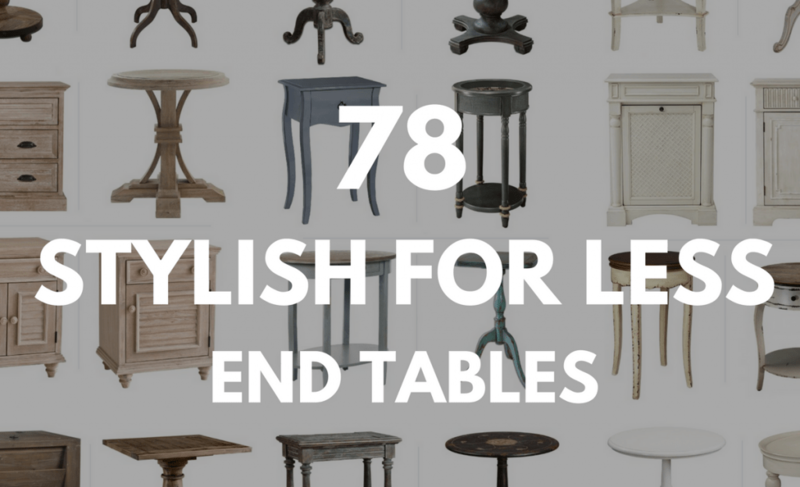 If that is not enough, Drysdale has created over 100 custom furniture pieces through the years. 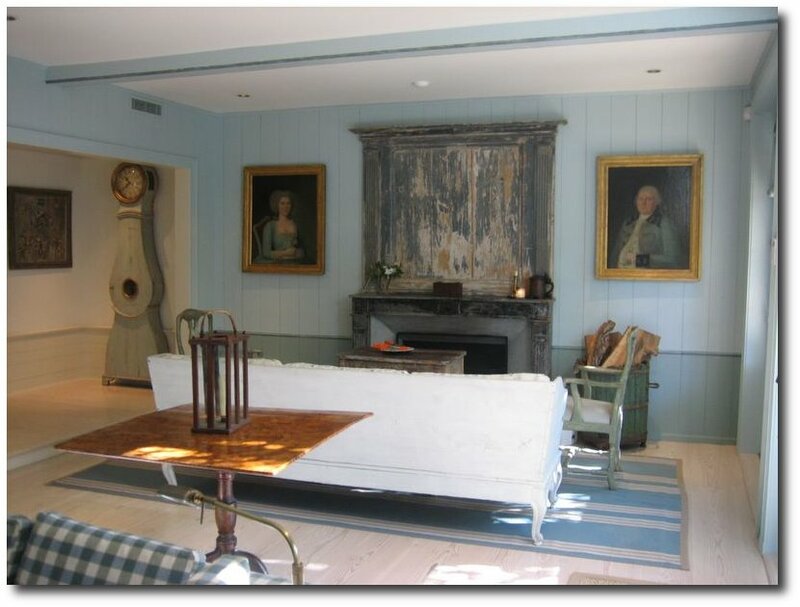 Borrow some brilliant looks from Mary Douglas Drysdale for your Gustavian styled home. 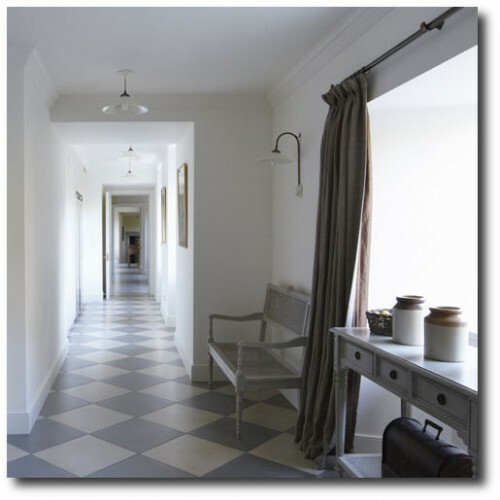 Ron Blunt has some additional photographs of Mary Douglas Drysdale’s interiors on his website. 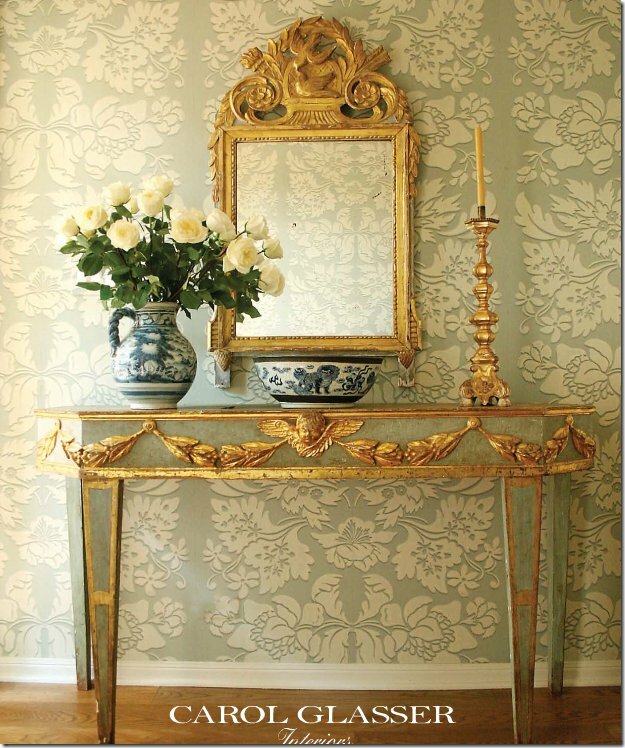 Borrow some ideas from Todhunter Earle for your Swedish and Colonial decorating. Their company was founded in 1988 by Emily Todhunter and Kate Earle joining as her partner 1998. 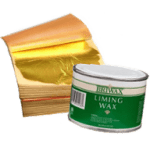 The firm has designed everything from English castles to well known restaurants, yachts and nightclubs throughout Great Britain, Europe, Russia, South America and the United States. Below are some pictures with Swedish Gustavian looks that you can replicate in your own home. 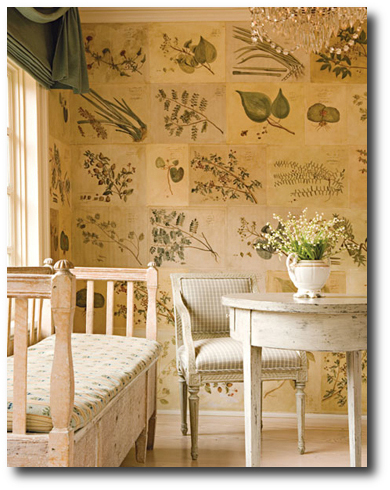 They mix a modern contemporary looks such as graphic wallpaper with antique painted distressed furniture. 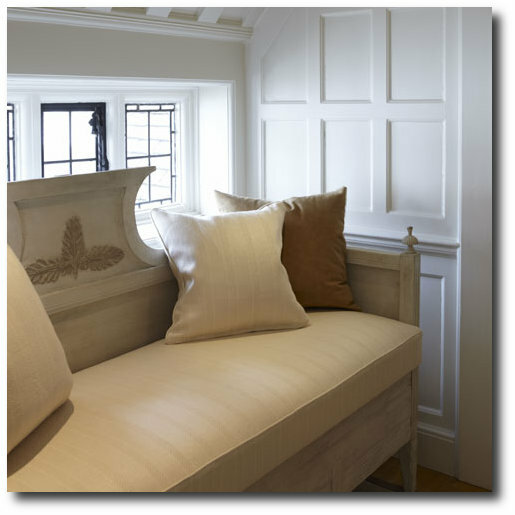 Natural linen is mixed with contemporary glassware. White and cream and gray hues are used throughout the rooms to create a clean and natural appearance. Beautiful paneled walls are painted in a muted blue, and accented in brass hardware. 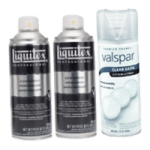 Look though Behrs vast color selection for great color inpirations.